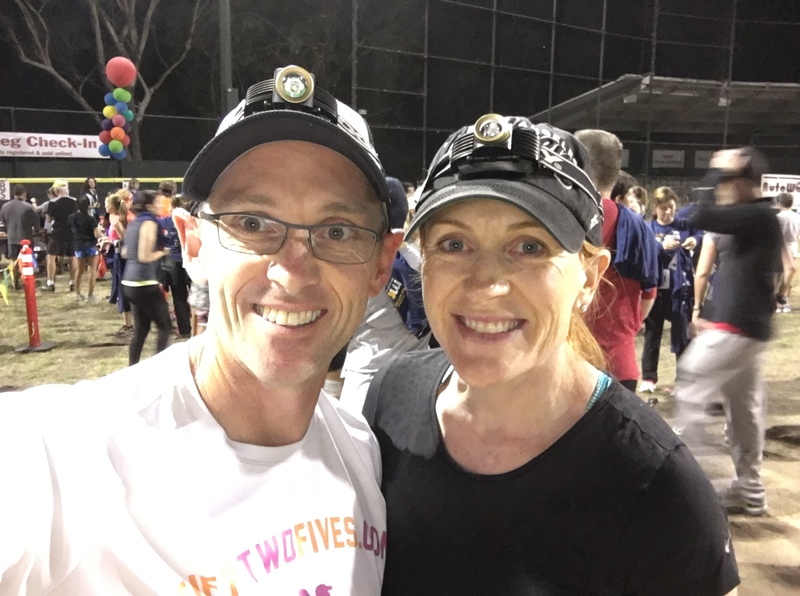 We ran the Moonlight 5k on Friday night. It’s the 31st running of this unique event that weaves its way through trails surrounded by marshland on the edge of the San Francisco bay. The race is at the Baylands Athletic Center in Palo Alto, and our 5k race began at 8:45pm in darkness under the Harvest Moon. We were told to bring headlamps, but we noticed at the start that only a few people had them. I put mine in my pocket, and headed out without it. About half a mile in, it was pretty much dark, and we’re on an unpaved trail traveling along at a sub 8-minute mile. So, I quickly put mine back on and lit up the trail. Power to the folks who didn’t have one, but I’d recommend it if you’re running the race next year. Anyway, this was the first of three races we planned to run on the weekend. So, we didn’t exactly crank up the pace to maximum (and you couldn’t anyway — there was over 2,500 people out there and plenty of traffic jams, and it was very dark). So, with those excuses declared, I’ll tell you that Selina came 124th and I came 126th. She was 2nd in her age group (how does she do that every week? ), and I was 11th. Race #32 is officially done, and that’s 20 more to go in this 52 race adventure in 2015. For those who’d like a little more, here’s a write up from the Palo Alto Weekly.